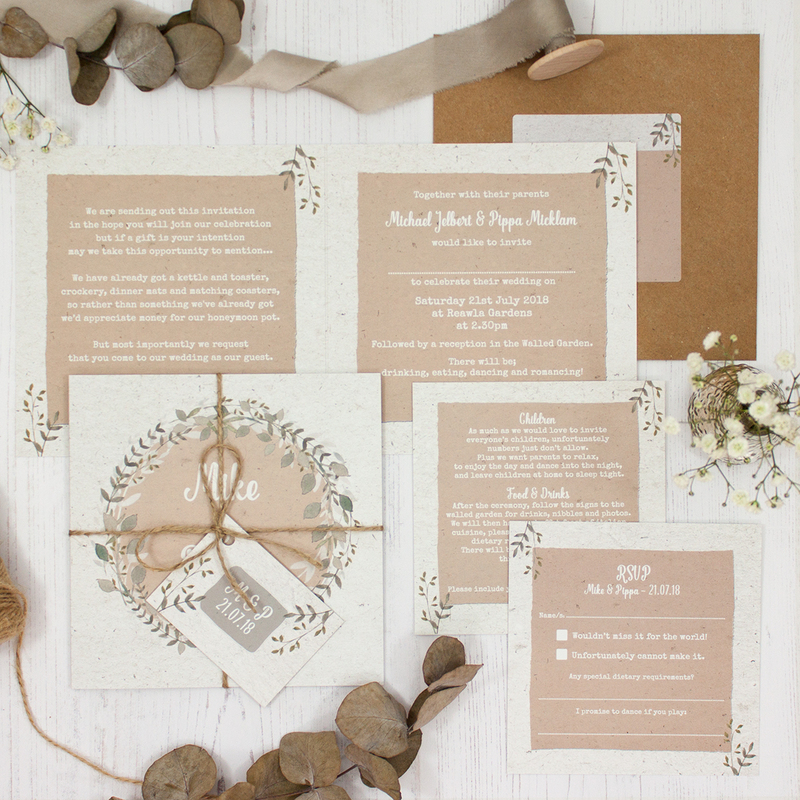 Wedding invitation sample pack including an RSVP, info card, string and tag, envelope and label in the Botanical Garden Collection design. With the growing trend of greenery, traditionally only used as a compliment to flowers, this is now taking centre stage on its own and celebrates foliage in its simple form. 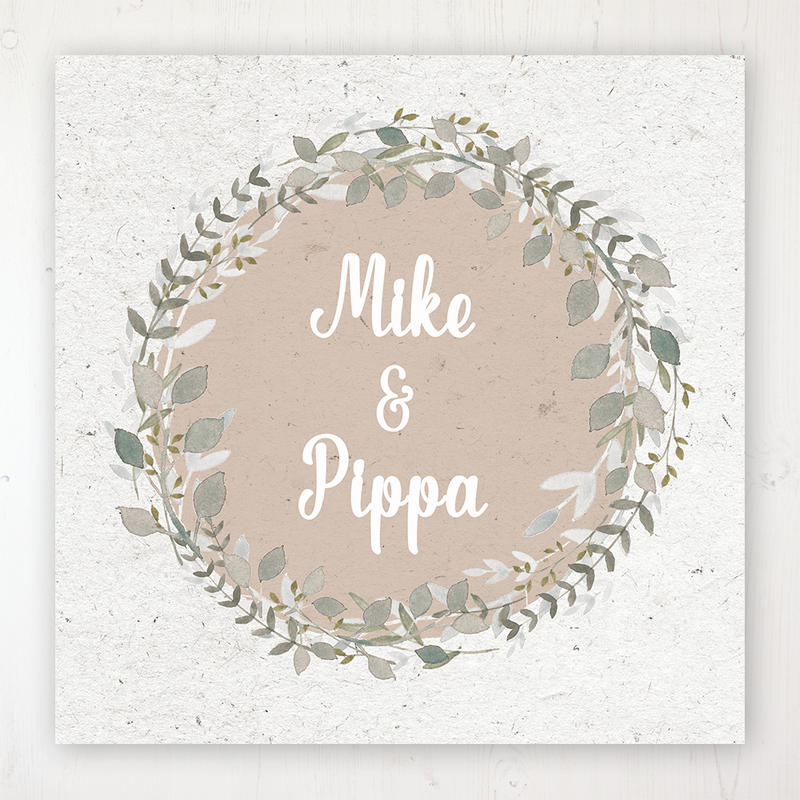 Think crisp white backdrop with trailing greenery decor, with potted olive tree displays adorned with fairy lights and candles. Botanical Garden is perfect for a paired back and natural look.